Are School Buses Really Safe for Your Kids? When it’s time to send your kids to school, you have two choices: put them on the bus or drive them yourself (okay, technically, walking may be a choice if you live close enough to the school, but that’s doesn’t apply to most people). As a parent, this decision can be very hard. Of course, the school bus option is definitely easier on you, but is the school bus really safe? Or would your kids be better off in your car? When it comes to safety, school buses top the chart. This may be surprising, especially because school buses don’t have seat belts, but it is true. In fact, the National Highway Traffic Safety Administration reports that your kids are 50 times more likely to safely arrive to school in a school bus than if they drive themselves or you drive them (yes, even if you are the best driver ever). Teen drivers have a 58% fatality rate during school hours, adults have a 23% fatality rate, and school buses only have a 1% fatality rate. So even if your teen can drive, they are still better off riding the bus. 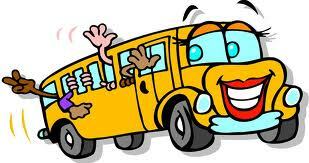 The safety of school buses all comes down to their extremely intelligent design. For starters, they are large, heavy, and a bright color. They are extremely visible on the road, and even if they do crash, the chance of the bus actually becoming impacted is very slim thanks to the reinforced construction. School buses also come equipped with cross-view mirrors, flashing red lights, and stop signs. But all of this would mean nothing without the best operators around. School bus drivers go through rigorous training and extensive and frequent testing to ensure that only the best defensive drivers are operating the vehicles that transport such precious cargo.